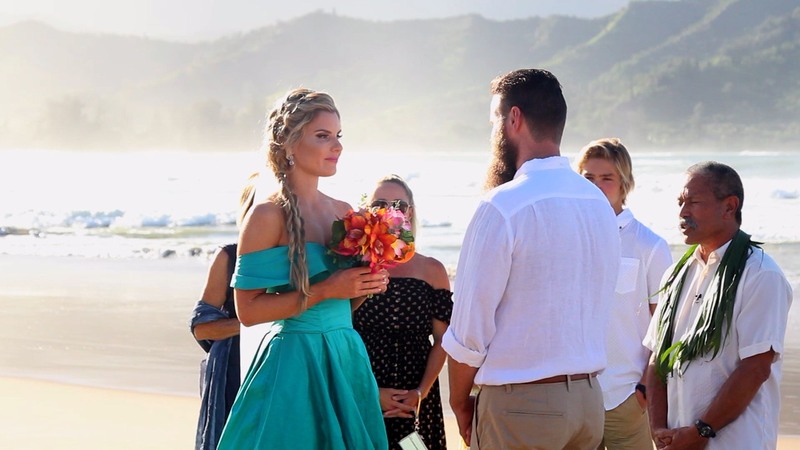 A stunning blue wedding gown…it’s not everyday that we see a Kauai beach wedding where the bride wears a gown so beautifully different. I was lucky enough to film bride Lara in her stunning turquoise blue wedding gown. Mitchell, the groom, was stunned as he didn’t know about the gown. Just a quick note: These shots are video frames, pulled from the wedding video, as the photographer that day was the delightful Naomie.